CFD is an acronym and it expands to contract for difference. It is the difference where a specific trade is entered and exited. It is an instrument that can be traded and mirrors the movement of the asset that underlies the instrument. In simple words, CFD trading allows the experienced trader to predict the price movements of the most tradable assets. If the trader’s prediction is right, they make money. That is, profits or losses are realized when the asset under consideration moves in the opposite direction in relation to the position that is taken when the CFD is purchased. However, it is important to understand that the underlying asset is never owned. The CFD is actually a contract between the client and the broker. Trading in CFDs has many advantages for the trader and this is perhaps the reason why CFDs have become increasingly popular in the recent past. It is also to be noted that CFD trading is as much risky as it is profitable and not suitable for beginner traders. Using CFDs, an experienced trader can trade in stocks, currencies, commodities, bonds and indices. By trading CFDs, the trader can enjoy a leverage effect. Unlike other financial products, the trader can decide prior to the trade the maximum amount of money that can be lost. This gives better control of the outlay. The trader can trade at competitive spreads. Most CFD brokers do not charge any commissions. The trader can make profits both when the markets are rising and falling. The wealthiest investors are in total control of their time. A majority of them trade CDFs online with the help of experienced and expert brokers that frees up their time. Online CFD trading helps any individual to make money any time and provides the freedom to choose the type of asset, the type of trade and the amount to trade. However, it is important to select the correct online CFD broker to meet your financial goals if you are looking to trade in CFDs online. Read on to find out as to how to choose the best online brokers to trade CFD and the considerations that are to be kept in mind when selecting one. To choose the best online forex brokers to trade CFDs, it is a good idea to look into reputed broker comparison websites. Everything that a trader needs to know about the CFD broker is covered in these websites. The up-to-date information presented in these websites can help the trader to get started in the shortest time possible. The comparison lists make it easy for the trader to choose the best online brokers to trade CFDs. 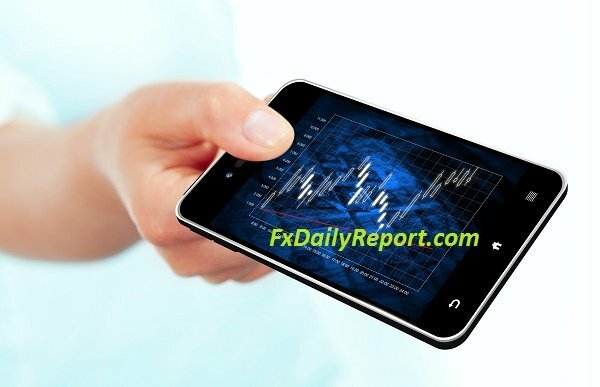 However, an online CFD broker should have the capacity to execute the trades that you order for and manage these trades from the online account that has been created by you. An online broker that the trader chooses to trade CFDs should have a deep knowledge of the markets and match the traders’ needs when the market changes. They should be having technically advanced trading platforms to help produce the right results for the trader. They should be able to support the trader from the start to the end. They should have enough experience and expertise to know what suits the trader best. They should advise the right kind of trades that the trader needs. There should be no restrictions or limitations placed by the broker with relation to placing trade orders or canceling them. They should be able to provide detailed analysis of the asset classes and the trades that the trader is interested in. An online CFD broker’s website differs from regular trading and investment sites. It should allow easy navigation for any user: either a beginner or an experienced trader. The information provided on such a website should be comprehensive and related to forex, CFD, spread betting, etc. Up-to-date research by professional analysts should be a part of the site. Traders should have access to different types of markets through the site. Trading platforms should be easy to access. Contact details such as emails and phone numbers for traders and analysts should be present on the website. Website should provide assistance to the traders in the form of FAQs, testimonials, and other technical details. Ultimately, after going through online CFD broker comparison sites, it is important to choose the right one. The trader should always choose the broker that fits his financial needs. The broker should also match the risk appetite of the trader. The broker’s trading style should be analyzed carefully and it is a good idea to go through online reviews (given by real traders) of the website. After careful analysis, the deal should be closed with the broker that is fully compatible with all the trader’s requirements. Choosing an online CFD broker that fits the trader’s financial needs will help them to attain their financial goals easily. Choose a broker who provides requisite trading tools and the mobile trading app. Choose a broker that offers different product groups such as commodities, stocks, bonds, indices, etc. Choose brokers that comply with regulations and those that offer specialized asset classes. Choose a broker that offers the requested leverage and margin for the traders. The risk is higher when the leverage is higher. Choose a broker that offers the requested minimum. Choose the online CFD broker that allows the trader to start an account with the minimum deposit. Brokers should have access to tap into global markets. If the trader has already been using an offline broker for trading CFDs online, it pays to find out if they have an online presence. This helps them to migrate to the online platform with ease without taking the trouble to having to choose the best broker to trade CFDs online.